Have you ever downloaded or saved some VOB video files onto your computer hard drive and wanted to preserve them for fun? Since VOB files without IFO or BUP files do not allow DVD menu navigation, you cannot keep it in DVD directly. Then to burn VOB to DVD which can be played in a DVD player would be in great help so you can keep the VOB videos safe and enjoy them at any time you like. You may try to convert VOB to DVD with Windows DVD Maker which is quite popular as a DVD burning program and there is also other professional DVD burning program which are empowered to burn VOB to DVD. Let’s firstly get into Windows DVD Maker to know what Windows DVD Maker is and how to use Windows DVD Maker to burn video to DVD on Windows computer. 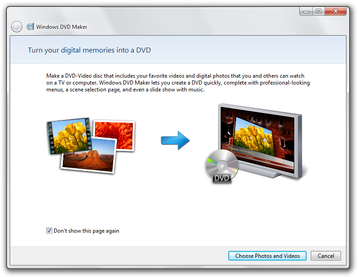 Designed to enable DVD creation on Windows computer, Windows DVD Maker, as its name suggests, is a DVD authoring utility to enable Windows users burn video and photos to DVD content from Windows Vista for playback on media devices such as a DVD player. This is a system program pre-installed by Windows. But Windows DVD Maker has been removed as of Windows 8. ‘.asf’, ‘.avi’, ‘.dvr-ms’, ‘.m1v’, ‘.mp2′, ‘.mp2v’, ‘.mpe’, ‘.mpeg’, ‘.mpg’, ‘.mpv2′, ‘.wm’, and ‘.wmv’. ‘.bmp’, ‘.dib’, ‘.emf’, ‘.gif’, ‘.jfif’, ‘.jpe’, ‘.jpeg’, ‘.jpg’, ‘.png’, ‘.tif’, ‘.tiff’, and ‘.wmf’. It’s easy to find Windows DVD Maker on your Windows Vista/7 computer. Type “dvd maker” in the Start Menu search box and click on the Windows DVD Maker shortcut to invoke Windows DVD Maker. Or, alternatively, you can find it in Start -> All Programs -> Windows DVD Maker. 1. Insert a blank DVD into your DVD drive, then click on “Burn a DVD video disc using Windows DVD Maker” in the AutoPlay dialog box. 2. Cick on the “Choose Photos and Videos” button. 3. Click on “File > Open project file” button successively if you already have a project. Or click on “Add items” button to browse and select the videos and pictures that you want to add to your DVD, and then click on “Add”. 4. Through the Move Up and Move Down icons after loading source media files to adjust the order. 5. Select the drive letter for your DVD burner in the drop down arrow menu. 6. Click on the “Options” link for DVD Video settings like aspect ratio, video format, DVD playback settings, etc. 7. Click on “Next” button and then select a “Menu Style” if you need. You could change menu text and customize menu as you like. 8. Click on the “Burn” button at the bottom right corner to start to burn DVD video immediately. This is a brief introduction on how to use Windows DVD Maker. You could refer to the official website of Windows DVD Maker on Microsoft Windows. Leawo Video Converter is a professional converting program for both video and audio files. It can offer the solutions for you to convert video and audio files between over 180 formats, such as MP4 to MKV, MP4 to AVI, MP3 to AAC, and VOB to WMV, etc. Besides, it not only works in 6X speed while converting video or audio from one format to another, but also keeps high quality of the output files. Moreover, Leawo Video Converter offers other features like merging, trimming, cropping, watermarking, adjusting video effect, applying 3D effect, etc. To convert VOB to Windows DVD Maker, you can use this converter to change VOB to WMV at first. For this goal, you can download and install Leawo Video Converter, then launch it and follow the simple guide below. After installation, launch Leawo Video Converter. You can view the software has 8 sections such as DVD, Blu-ray for you to choose. After importing source VOB files, you can open the drop-down box next to the big green “Convert” button and then choose “Change” to enter the “Profile” panel, on which you could select WMV as output format. Back to the main page, and click the “Edit” option in the drop-down box to enter the “Profile Settings” interface when you can adjust video parameters of selected output profile. After setting the parameters, return to the main interface and click the big green “Convert” button, then a sidebar will pop up, requiring to set a directory for containing output video files in the “Save to” box. Click “Convert” button on the sidebar to start convert VOB to Windows DVD Maker supporting format WMV, and the program will finish the conversion in minutes. Since the VOB has been converted to Windows DVD Maker supported format, now you can simply use Windows DVD Maker to burn VOB to DVD as you like. Windows DVD Maker won’t Burn VOB? Solved with Leawo Video Converter from now on. 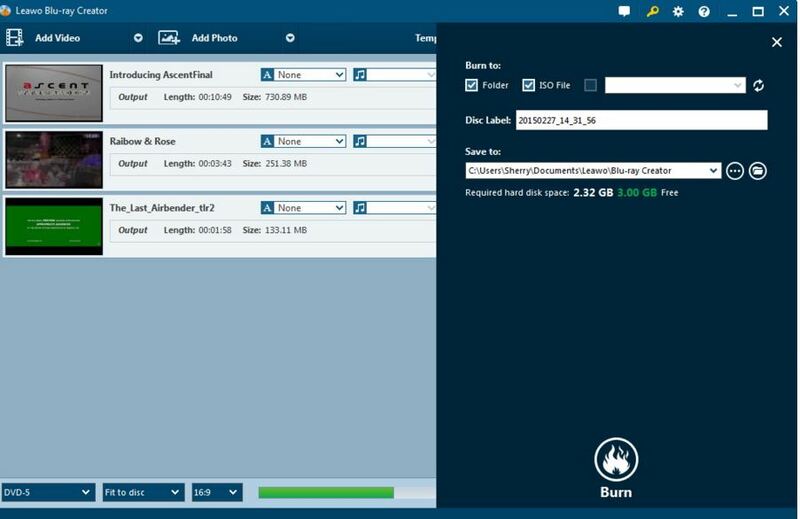 Except for the solution to burn VOB to DVD with VOB to Windows DVD Maker alternative mentioned above, there are still other solutions that can work better to burn VOB to DVD and Leawo DVD Creator would be the best recommendation. Leawo DVD Creator is a powerful DVD burning program for you to create DVD from all videos. It can burn all popular video formats to DVD (DVD-5/DVD-9) discs like MP4 to DVD, folders or/and ISO image files as well. Furthermore, multiple DVD video editing features can make DVD with special effects according to your demand. 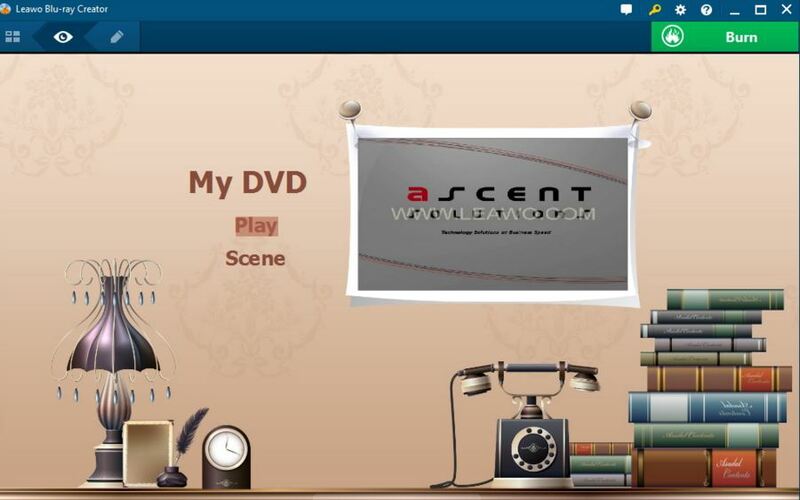 3D DVD creation function, abundant DVD menu templates and menu design features let you enjoy more. After downloading and installing the program, launch it and follow the easy guide here, you can simply burn VOB to DVD without any obstacles. You can import videos to the DVD creating software by clicking “Add Video” icon or directly dragging and dropping the VOB video to the program. Leawo DVD Creator offers you different kinds of preset disc menu templates like Standard, Business, Education, Childhood, Holiday, etc. And you can also customize the menu templates by yourself if you like. After completing the disc menu settings, you can click the big green “Burn” button to enter the burning settings panel, where you are required to figure out Burn to, Disc Label, and Save to options. Click the “Burn” button on the pop-up panel to start burning VOB to DVD. Immediately, the DVD Creator will start its work and convert VOB to DVD in a few minutes. Anyway, if you want to burn VOB to DVD and realize that Windows DVD Maker doesn’t recognize VOB video format, you can use the two solutions mentioned here to convert VOB to Windows DVD Maker or directly apply the second solution to burn VOB to DVD with VOB to Windows DVD Maker Alternative. There is often the proper way for your part. 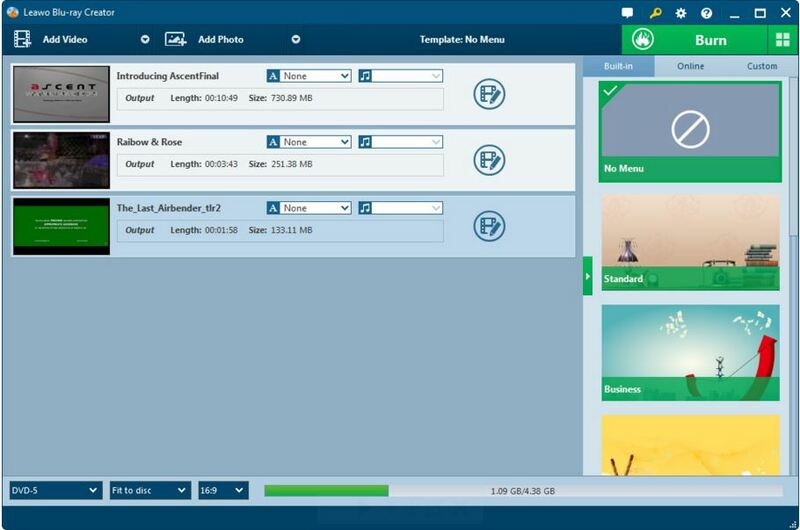 Windows DVD Maker is a preset free DVD author program in Windows computer (Windows Vista and Windows 7), while Leawo DVD Creator is a professional 3rd-party DVD burner program to help you directly burn video/photo files to DVD video or DVD slideshow. 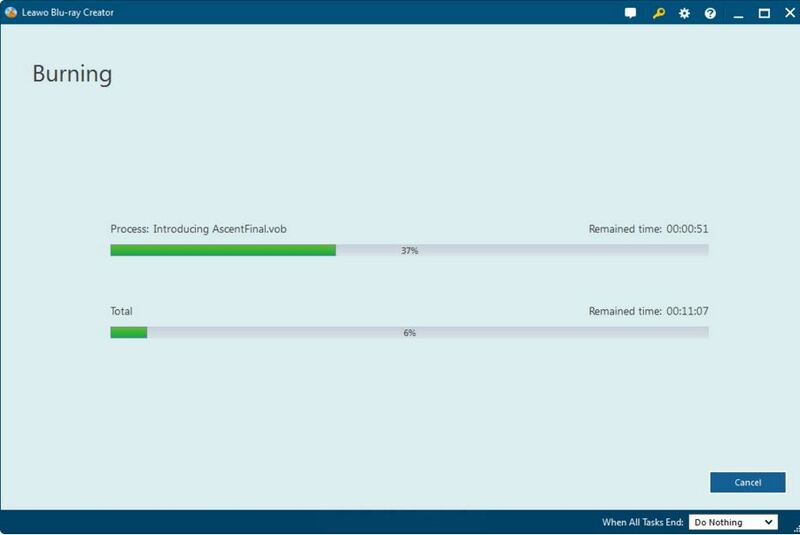 The below table is a simple comparison between these 2 DVD authoring program tools.